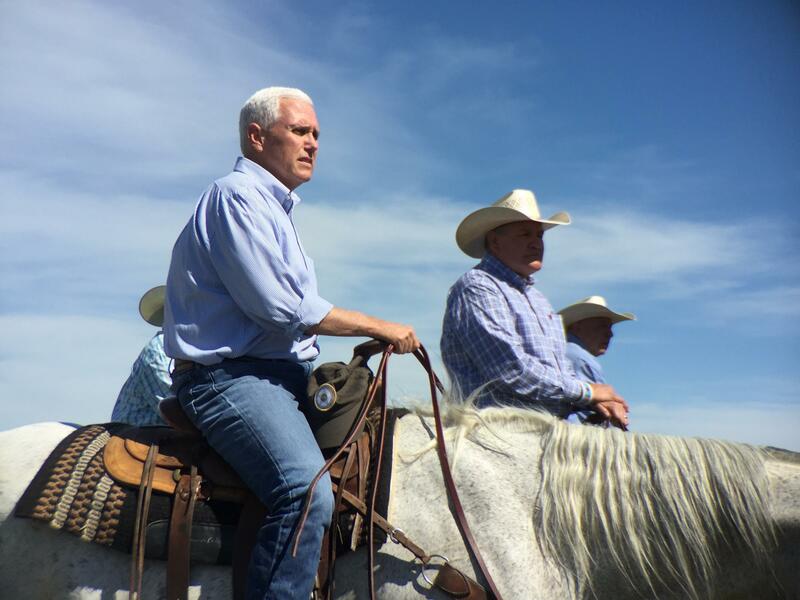 Vice President Mike Pence during a visit to the Absaloka Mine on the Crow Indian Reservation in this YPR file photo from May 12, 2017. 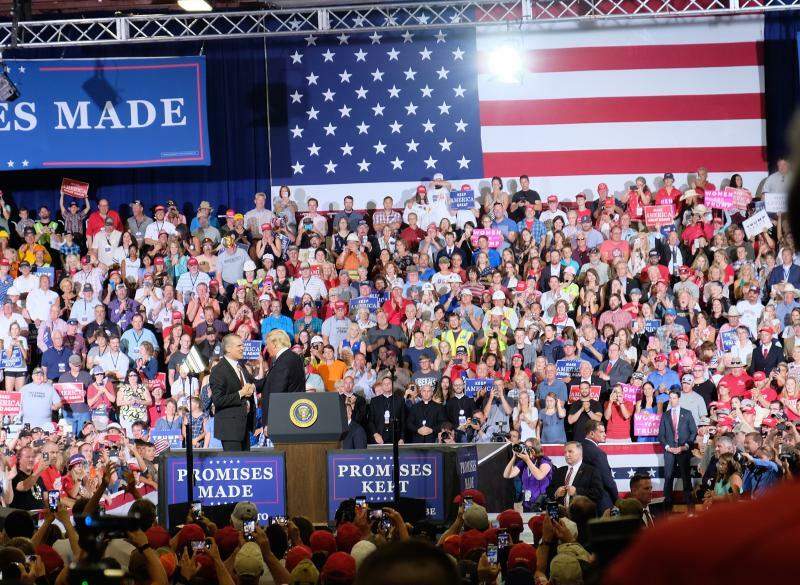 The event is for the benefit of Republican U.S. Senate Candidate Matt Rosendale who is trying to unseat Democratic U.S. 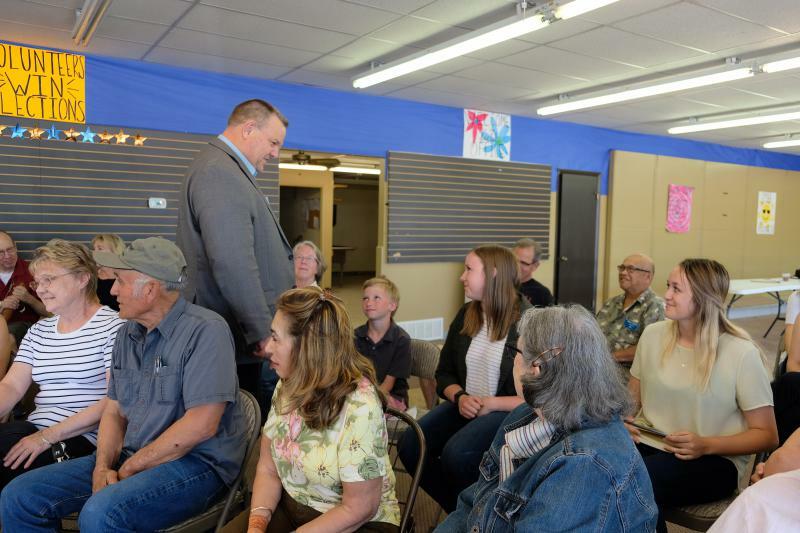 Senator Jon Tester, who is seeking a 3rd term. The group bringing Pence to Montana is America First Policies, a group of former Trump advisors created to advance the President’s agenda. According to the group’s website, this visit is billed as an opportunity to learn more about what the President’s tax cut means for individuals and families. The bill passed last December in the Senate on a strictly 51-to-48 party-line vote. This includes a “no” vote by Montana Senator Jon Tester. The president and conservatives have jumped on that and are actively working to unseat 10 Democrats in states the president won in 2016. Trump carried Montana by 20 points that year. 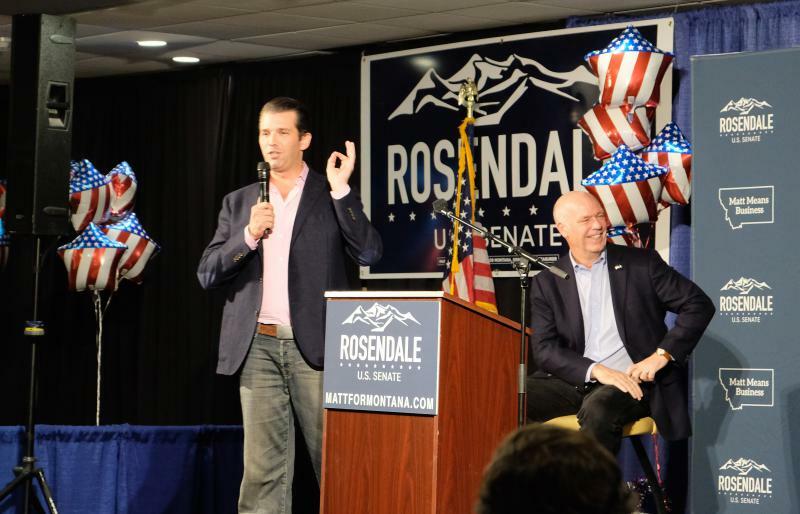 Pence’s visit comes on the heels of the July 5th campaign rally by Trump in Great Falls and a June 22nd Billings visit by Donald Trump Jr., all on behalf of Rosendale. Doors for the Vice President’s visit July 25, 2018 open at 7:30 a.m. with the event scheduled to begin at 9:30 a.m.